Introducing this stunning wall clock, this is a very modern and eye-catching piece. 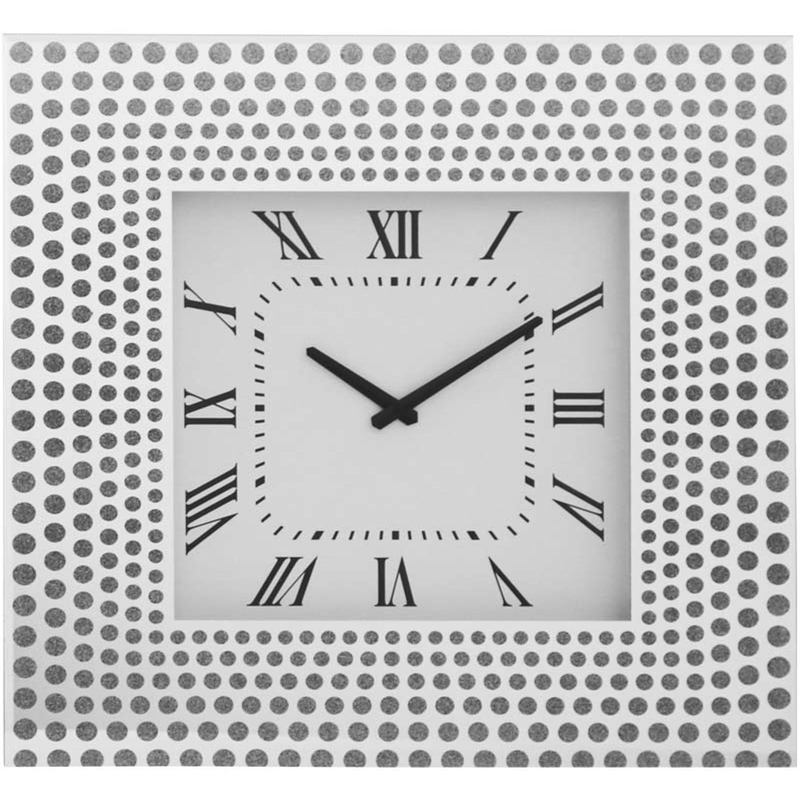 The frame is white with silver circles making this an extremely unique and stylish, while the clock face is very simple, making this clock the perfect balance. Although this is a contemporary and modern style is still has a small vintage feel due to the polka dot style.